Want to practice your garment sewing skills? Then join Janean in her "School of Sewing" this year with a new project each month. 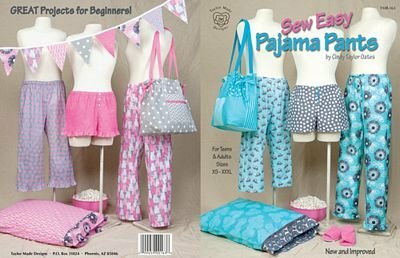 February's project are easy jammie bottoms. Make them short, capri, or full length. Pattern is from the book "Sew Easy Pajama Pants" by Cindy Taylor Oates. Click HERE for a printable supply list!